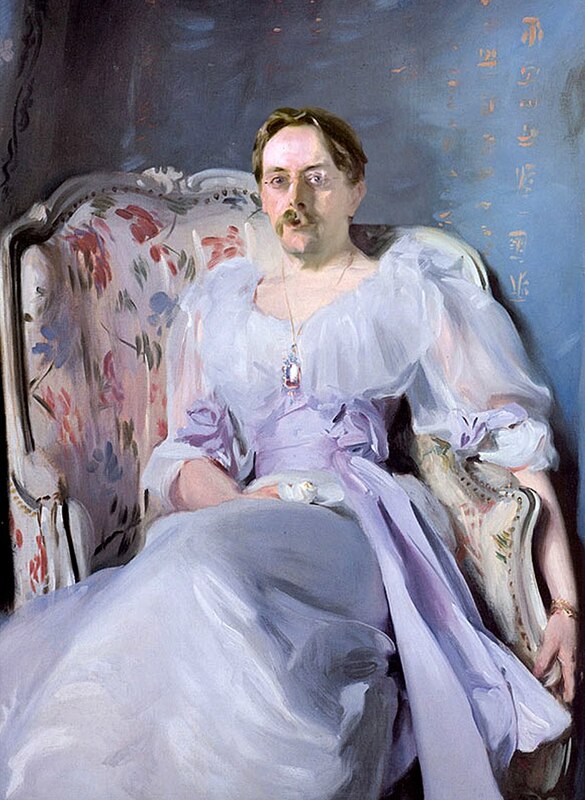 Lady Agnew of Lochnaw,(1892-93) is an oil on canvas painting by the American artist John Singer Sargent.Lady Agnew's direct gaze and informal pose, emphasised by the flowing fabric and lilac sash of her dress ensure the portrait's striking impact. 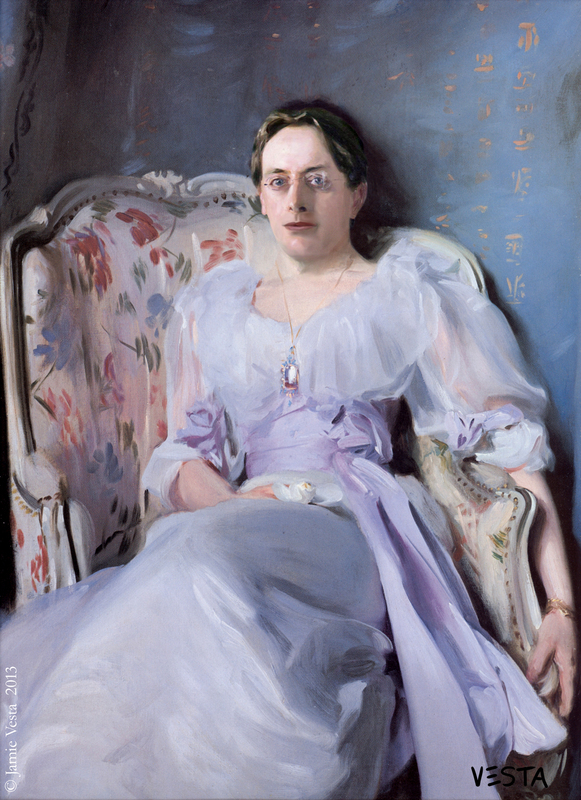 Andrew Noel Agnew, a barrister who had inherited the baronetcy and estates of Lochnaw in Galloway, commissioned this painting of his young wife, Gertrude Vernon (1865-1932), in 1892. 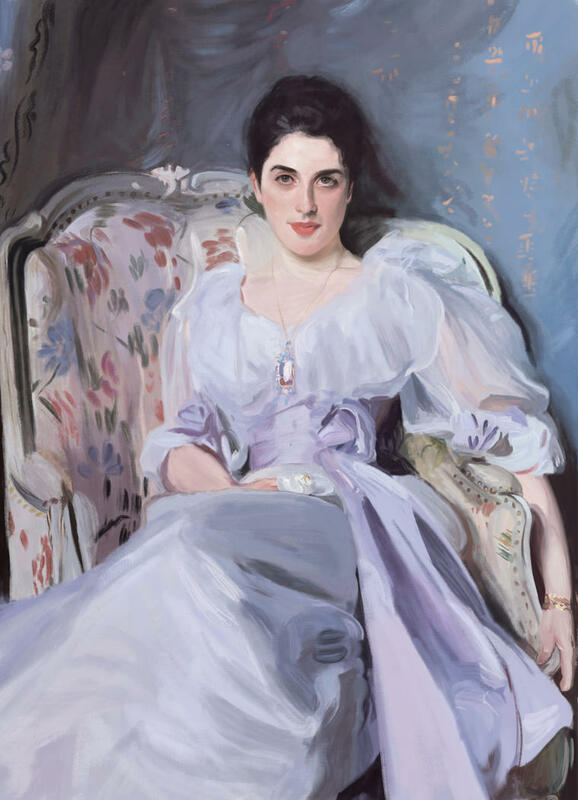 It was exhibited at the Royal Academy in 1898 and made Sargent's name. The sculptor Rodin described him as 'the Van Dyck of our times'. Portrait commissions poured in and Sargent enjoyed something of a cult following in Edwardian society. It also launched Lady Agnew as a society beauty. This painting (127 x 101 cm) is now in the collection of the National Gallery of Scotland.